What is growth? All growth debates in Boulder City are framed in terms of new housing, but normally urban development growth is framed in terms of jobs and work. What makes Boulder City different? What does the difference tell us? In her 1969 book “The Economy of Cities,” Jane Jacobs turned on its head all discussions of how cities grow. The traditional model said that cities grew gradually from rural, agricultural areas. Jacobs showed that cities arise for their own reasons, usually in great spurts, as new work and jobs bring migrants to an area. Certainly, that is true of the founding of Boulder City. People may move to our town today because of its charm, but in 1931 there was no charm, only unforgiving desert. People moved here by the thousands for the jobs provided by the Boulder Dam project — new work. Boulder City grew overnight, and after the completion of the dam was expected to collapse overnight, just another ghost town after the loss of the jobs. During the 1970s, Boulder City grew by almost 80 percent, which is what led to the 1979 anti-growth referendum that has held the population in check for almost 40 years. Or has it? Remember, jobs lead growth, not housing. When an area develops new work, jobs are created and workers need a place to live. So housing is a consequence of growth, not a cause of it. The 1979 ordinance imposed a limit of 120 new homes a year. After 39 years, as many as 4,680 new homes might have been built — 12,000 new residents. Boulder City’s population might be at 28,000 instead of the 16,000 we’re at today. So what happened? Why didn’t those homes spring up? Look to Jacobs for the answer: The homes aren’t there because the jobs aren’t here. In the much more important metric of new work and job growth, the results have been anemic. That’s not to say we have seen no special new work. To be economically important the new work must have two components: It must create new jobs better than the local average, and it must create an increasingly diversified product line with significant exports. Those exports, far more than sales taxes, bring dollars back into the community. Tourism can be squeezed into that definition, but not without effort. Tourism is close to a zero-sum game. New work, light industrial work, makes a much bigger impact. Boulder City has two key businesses I’ve identified with these special attributes: Fisher Space Pen and Medolac (full disclosure: Medolac is a former client). Medolac is more likely to bring growth to Boulder City than any other single business I have identified due to its relative newness and capacity for expansion. Fisher is a relatively mature company whose new work prospects have lagged in recent years. Paul Fisher created his original pen company in 1948, competing with the likes of Parker and Papermate. He created a reputation for deep research that led to success in specialty fields that the others could not touch. When NASA came looking for pens that worked on space missions, only Fisher could help, and he already had what they needed. Fisher brought his company to town in 1976. But with his death in 2006, it morphed from a research and development company into a preservator of the founder’s vision — still an impressive small business by anyone’s standards, but no longer leading with the kind of innovation that leads to new work. Elena Medo created Medolac more recently, out of a desire to provide human breast milk to infants with health issues not handled by nonhuman milk formulae. Although she started out with one basic product, her personal research has led to a series of patents that allow for greater longevity. As a result of her work, Medolac’s production lines regularly add specialty protein mixes to address specific health concerns found in her client hospitals. Medo is to Medolac as Paul Fisher was to Fisher Space Pen: the founder who remains actively involved, building the business. As the product line diversifies, new work is created. As such, Medolac’s industrial presence may be one of the greatest drivers to the growth of Boulder City in coming years. The future of Boulder City’s economic development is not yet known, but it will be framed by the growth in work, not houses. Houses follow work and, with only a few exceptions, new work is not coming to Boulder City. 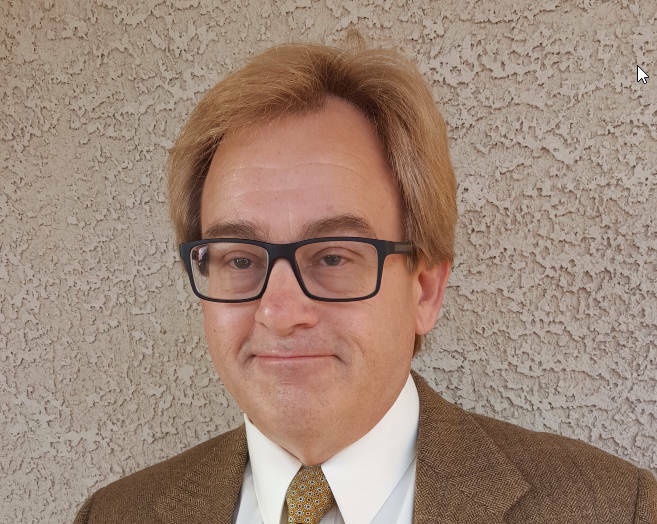 Dale Napier is a Boulder City business consultant with a background in urban transportation and development.